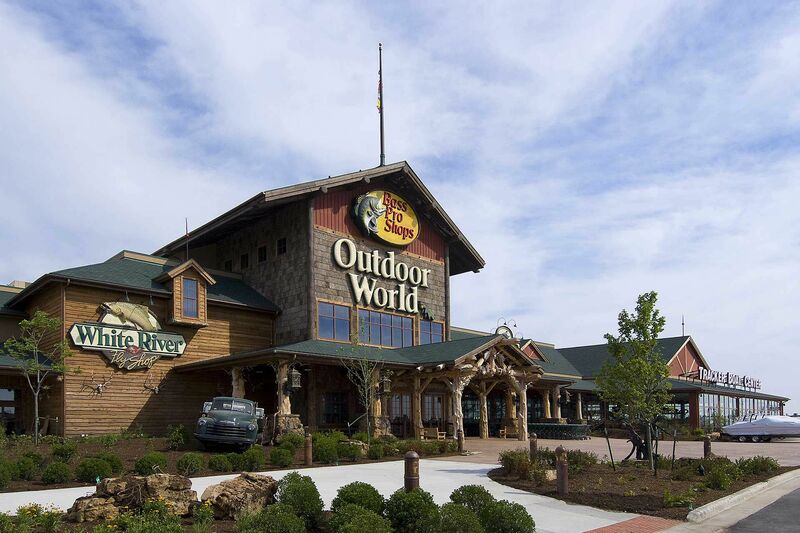 This $30 million project is a unique blend of museum-quality wildlife scenes, sprawling murals, waterfalls, hunting lodge rock and log work, and water featured exhibits highlighted by a 20,000 gallon fish aquarium that stretches the category of retail space to new limits. The 150,000 SF building required working from lifts approximately 80% of the time at heights approaching 60 feet. 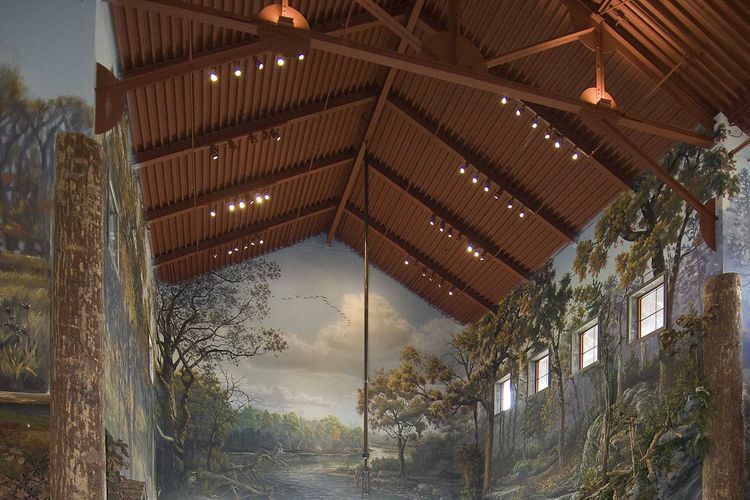 A variety of difficult soffit details and installation of decorative tin ceiling panels added to the complexity. Additional work scope included interior and exterior light gauge steel framing, exterior sheathing, cement board, standard and moisture resistant drywall, sound and thermal insulation, acoustical ceilings, and a stucco wall system. 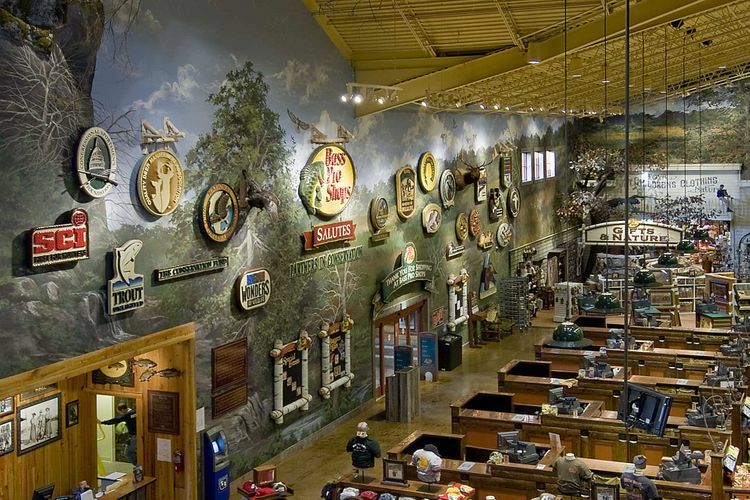 Although the footprint of most Bass Pro Shops is similar, interior finishes are interlaced with artistic displays that are subject to last minute changes. Since the changes were made during our critical path interior finishes, schedule management was a significant risk. Often we were asked to make disruptive and immediate changes to in-process work. Change orders accelerated as interior finishes drew closer to completion. Although we were repeatedly requested to quote working six, ten hour days throughout the project, we managed to avoid working any significant amounts of overtime by concentrating on a four to six week forward look. We employed a full time Project Manager and non-working Foreman for the duration of the project. Continual updating of the 4 -6 week look-ahead, removal of potential obstacles, and co-coordinating with other key trades allowed the project to finish ahead of the original schedule without any accidents. Understandably, the Owner was complimentary of our work and was able to move up the store’s grand opening by two weeks.